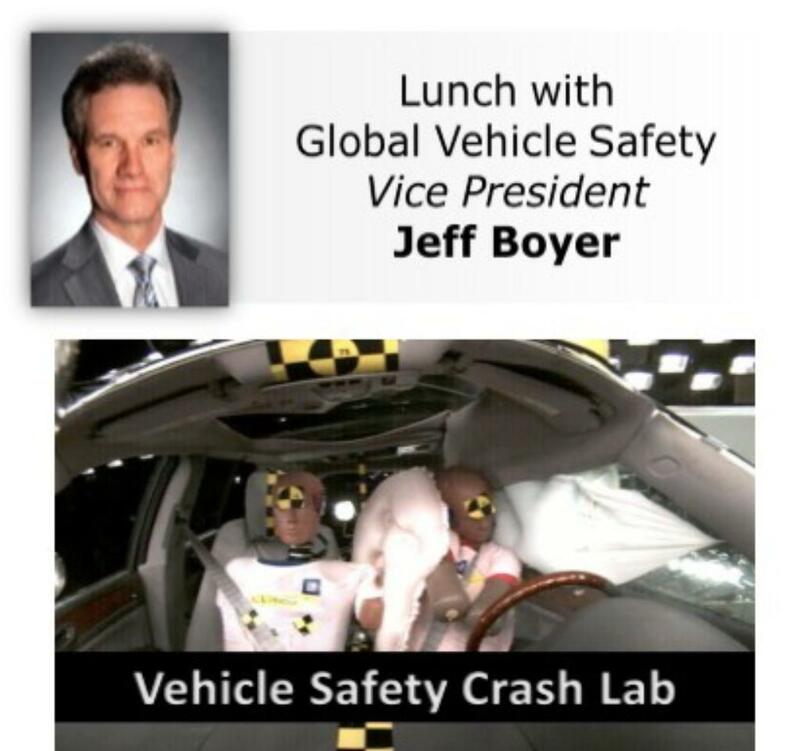 Safety Performance Immersion Experience and Lunch with Jeff Boyer, GM VP of Global Vehicle Safety. Full day overview of Safety Performance Integration, Safety Computer aided engineering and Testing including tour of Vehicle Safety Crash Lab in Warren, MI. Crash lab tour could include crash dummy lab, component test lab, suppression testing lab and component level sleds test. Travel to Warren, MI not included.